One of the joys of being a wine lover is the opportunity to build a large collection over time. Whether it be bottles that are meant only for special occasions or those which are perfect for everyday drinking, however, it’s essential to ensure that proper storage techniques are being utilized. Storing wine doesn’t have to be challenging, but you do need to know which way to go about it so that your bottles are never in jeopardy of spoiling in any way. As with anything else in life, there are “dos” to storing wine, and there are “don’ts.” Play your cards right, and you’ll never have to worry about whether about improper storage affecting the quality and drinkability of your wines. Below are the three most important factors you need to keep in mind when storing wine. The amount of misinformation out there about what temperature wine should be stored at can cause a lot of confusion. Much of this has to do with the fact that certain styles age differently from one another at the same temperature, and each has its very own unique “sweet spot” that will allow for optimal aging. The fact is, you’ll do just fine no matter what you’re aging if you keep the temperature hovering between 53-55°F. This will ensure that the wines develop without “halting” due to being stored too cold or expedited due to being stored too hot. Note that this speaks for bottles of wine that have not yet been opened — we’ll get to that part later. Your wine collection may look elegant when catching the rays of the sun on that display table in the dining room, but what you’re really doing in this scenario is cooking your wine. The sun carries with it harsh UV rays that can cause the contents inside your wine bottle to prematurely age, thus bringing out inconsistencies and flaws that might not otherwise have presented themselves. Plus, sunlight can cause label fading to occur, which is something that no one with a large collection can afford to let happen. No matter how heavily tinted the bottle that holds a wine happens to be, it’s still not enough to keep sunlight or light of any kind from reaching the liquid inside. Store your wine in a cool, dark place. 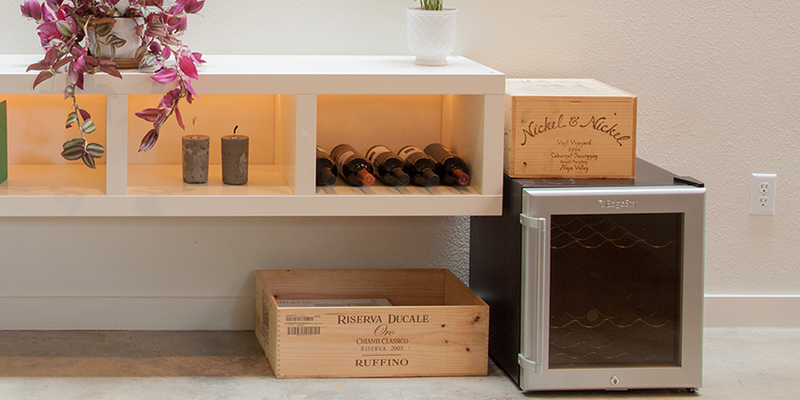 A cellar is ideal for anyone that has the space, but a wine fridge or cabinet will do. Humidity is something that most people don’t think about as they go through their daily routines, but the impact that it can have on your everyday life cannot be denied. Most homeowners would think about how excessive levels of humidity can affect the quality of their indoor air — and rightfully so — but it can also wreak havoc on a bottle of wine. Too Much Humidity — If a room is overly humid, for example, condensation could lead to mold growth on your bottles. It may not just be an aesthetic problem, either—the wine inside may very well be ruined. Not Enough Humidity — On the other side of the coin is the issue of not enough humidity, which can be seen in the example of the refrigerator storage conundrum. Wines that are stored where there is a severe lack of humidity will inevitably end up with dried-out corks, letting air enter the bottles and thus wrecking the wine. Getting the optimal amount of humidity in your home can be a bit tricky, as there are a few environmental factors to consider. You may need to use a humidistat or hygrometer to help you figure out what the moisture level is currently at, and then add or remove moisture with the use of a humidifier or dehumidifier. If you have your own wine cellar, it’s quite a bit easier. 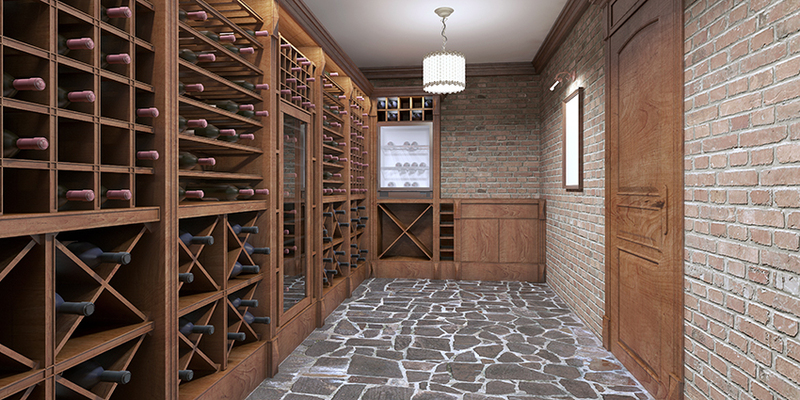 You can use a wine cellar cooling unit to help you regulate both the temperature and humidity for this space. These units are designed specifically to help assist the aging process of wine. 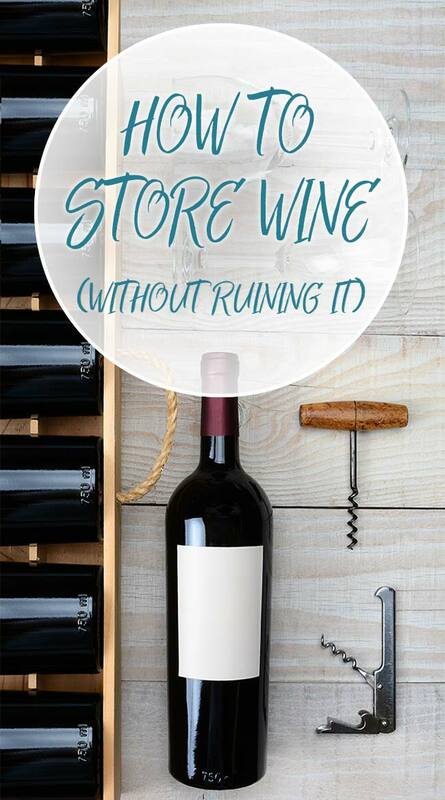 Now that we know of a few factors we should be following to store wine, let’s take a look at the most common mistakes that we all tend to make. One of the most common mistakes that people make when storing wine, is moving it directly from the case to the fridge in their kitchen. Your refrigerator is an amazing piece of equipment capable of incredible things, but that’s not to say that it’s the right fit for storing your wine collection. The air inside your kitchen fridge does not have the right humidity for wine. This will lead to dried-out corks, which in turn, allows oxygen to enter into the bottle and cause the flavors to spoil and “flabbiness” to occur. The problem is most noticeable with Champagne and other sparkling wines that lose their luster entirely, and it doesn’t take very long for it to happen. 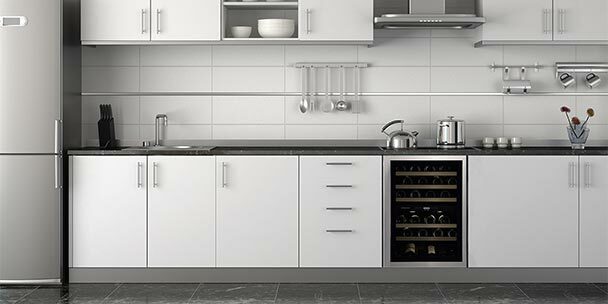 Aside from the humidity concerns, the standard kitchen fridge is unlikely to have the right temperature for storing wine. This is because it’s designed to keep your food from spoiling, and not aging wine. If you’re just looking to quickly chill a bottle, and you’re not worried about hitting the right serving temperature for that varietal, then a kitchen fridge will work. All of this to say: A kitchen fridge will halt your wines from developing, and may even lead to spoiling. 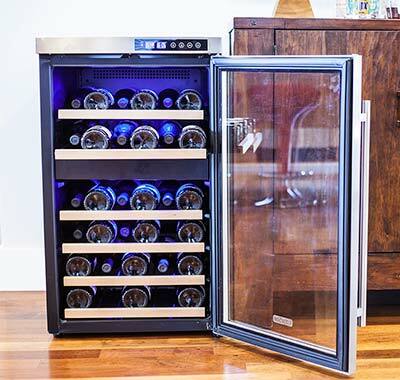 You’re better off going with a dual-zone wine cooler that gives you precise temperature control. Never store bottles in, near or (especially) on top of the fridge. The exception to using the refrigerator for storing wine in any scenario is if the bottle has been opened. Both red and white wine may benefit slightly from being kept cooler than room temperature once opened, which is thought to slow down the rapid oxidation process that occurs once the cork has been removed. Be sure to stop the bottle up as tightly as possible, and stick to the rule of drinking any leftover wine within 48 hours of opening for best results. Many of us don’t realize just how many different vibration-causing pieces of equipment are in our homes. 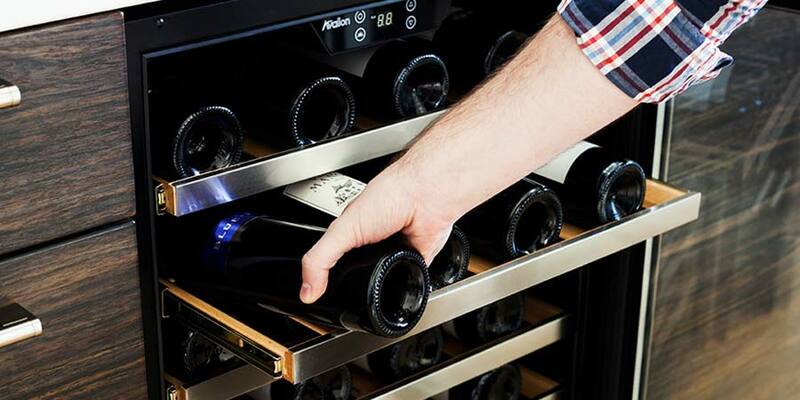 Between the refrigerator, dishwasher, washing machine and dryer that most homes are equipped with, there’s enough vibrational energy to cause quite a bit of havoc to any bottles of wine that are being stored near these appliances. Whether you’re cellaring beer or aging wine, it is strongly recommended that you store your bottles in an area that will be undisturbed. In other words, not in a room where the floor vibrates so much that bottles will be clanking against one another and constantly shifting places. 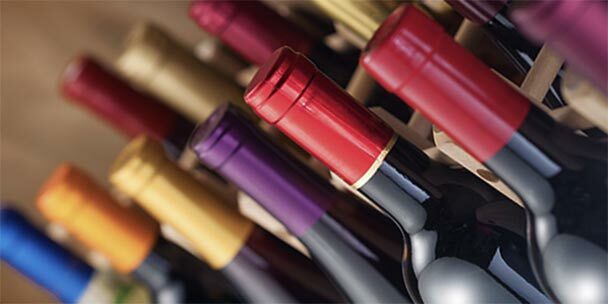 Avoid storing your wines in any room where even the slightest bit of vibration may affect their graceful aging. Whether to store bottles either upright or on their sides is often a point of confusion, and even contention, for many. That being said, the vast majority of wine experts believe that bottles should never be stored upright and should always be laid on their sides. Why? The answer comes down to the same issue that occurs when there isn’t enough humidity in the air — oxidization. When stored on its side, the wine will constantly be in contact with the cork. This will help prevent it from drying out, thus providing an extra layer of protection against outside air entering the bottle. I love wine and, likely, you do too. So, to prevent your collection from going bad, please don’t assume you’re storing your wine properly. Take the above tips to heart, and if you must, give yourself an afternoon to rearrange your current storage situation — you’ll be glad you did for years to come. 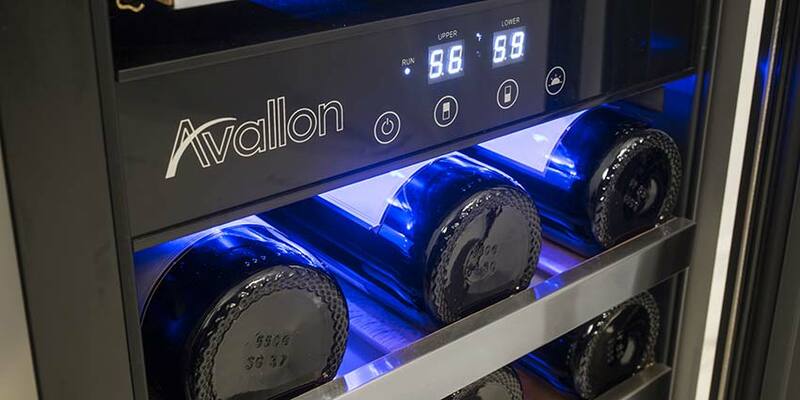 How do you adjust temperature on a u-line wine cooler? Thanks for the tip to avoid storing wine in a room that even slightly vibrates to allow graceful aging. I have an uncle that is thinking of getting a way to store wine, but I’ve noticed he lives in an area that experiences a lot of vibration. Perhaps looking at custom wine cellars would be a smart option for him. 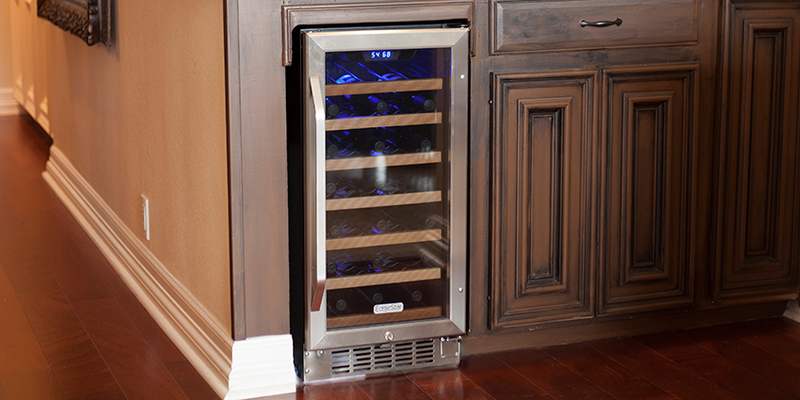 What is the Difference Between a Single Zone and Dual Zone Wine Cooler?